In the coming months, Scia will release a new version of Scia Engineer, which will expand the possibilities of Open Design introduced in Scia Engineer 14. Thanks to the open design technology based on Design Forms, the number of code design modules – integrated in Scia Engineer – will be growing rapidly. 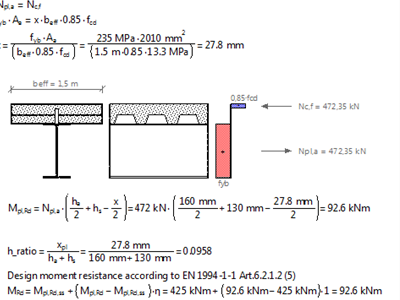 We briefly put the spotlight on the new composite module which allows for accurate FE modelling of composite decks, together with the design check following Eurocode and/or IBC (AISC American code). Composite structures are gaining importance, and often replace pre-stressed or post tensioned concrete beams, slabs or columns thanks to the effective collaborative use of two materials: concrete and steel. The ease of construction results in an economical and cost effective solution; yet the design is a bit more complex than a classical concrete structure; as well construction stages as the stud connectors need to be designed and controlled. Scia Engineer is an integrated solution for modelling, analysis and design of 3D structures; the new release strongly supports the design practice to apply composite beams & decks in all construction projects, from buildings up to bridges. Instead of a dedicated composite software, Scia Engineer covers all construction materials and building systems in one program, with detailed design formulae in its Engineering Report.